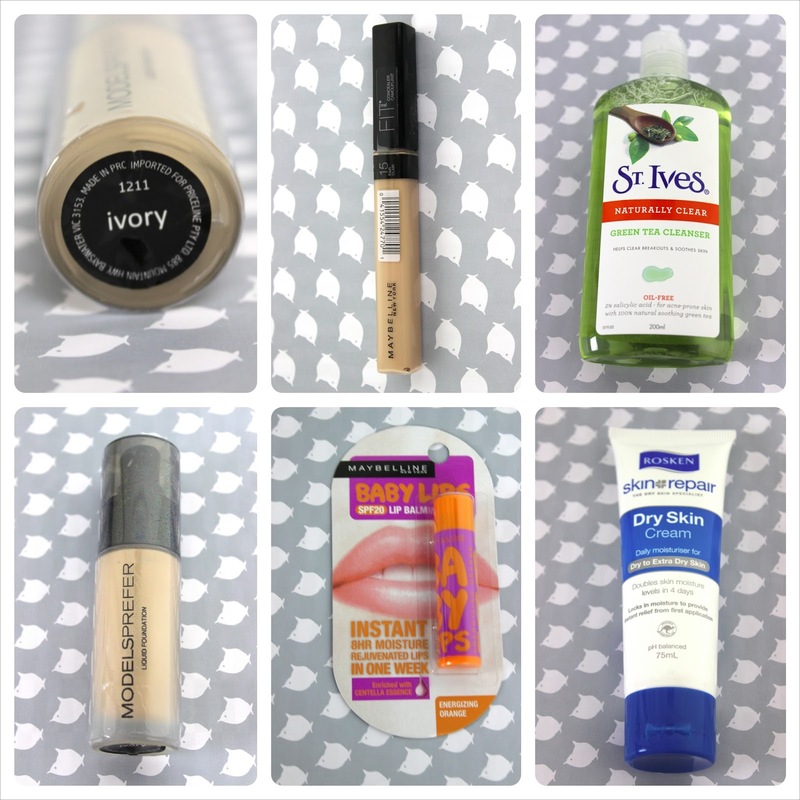 Not so long ago I took a trip to the drugstore and picked up some essentials and new products that caught my eye! In Australia our beauty stores obviously have the same purpose as other it just stocks different brands and products! It is very hard to find all of the glorious brands that other bloggers use, unless you buy them from a department, which are marked at a shocker of a price or online, and even then it is very hard to find places that ship this far across the seas. So someday I hope that I can get my hands on more products, but for now I am going to give you a little insight into what I find at the drugstore! Dry Skin Cream: For quite a few months now I have been searching for a good moisturiser that won’t feel greasy on my skin and as I feel like it is one of the hardest places to start, I found a drugstore one. For less than $5.00, it is smooth in consistency and works a miracle with only a small amount. It has a slight fresh fruity herb smell, (You will get to realist that I am not the best at describing scents, so I will defiantly try my best!) which may sound crazy, but it is actually quite relaxing. I plan on looking further into moisturisers when I know what I am looking for, so if any of you have any suggestions then please let me know! Maybelline Fit Concealer: Again a liquid concealer has been on my list for quite some time now and as this was on special I decided to give it a whirl. I can safely say that I am in love with the product; however the only disappointment is the cost for such a small product. Models Prefer Foundation: The foundation that I have been currently using is the Bourjois Healthy Mix Foundation and to be honest it has not being doing a lot of justice. (I will continue to write about it in another review if you were interested in reading it?) So I decided to step outside my comfort zone and away from that product to try a new brand! I absolutely love it so far, the application is smooth and natural which is right on target for me and cannot wait to extend further into the brand and try more products. All of the products are from ‘Priceline’, which is an Australian drugstore and is one of my favourite shops to pick up essential beauty supplies. I hope you have enjoyed reading and if you like these types of posts of seeing what I have purchased then please let me know, because I honestly love being nosy and looking at what others have bought, so I will keep it in mind to do more in the future!